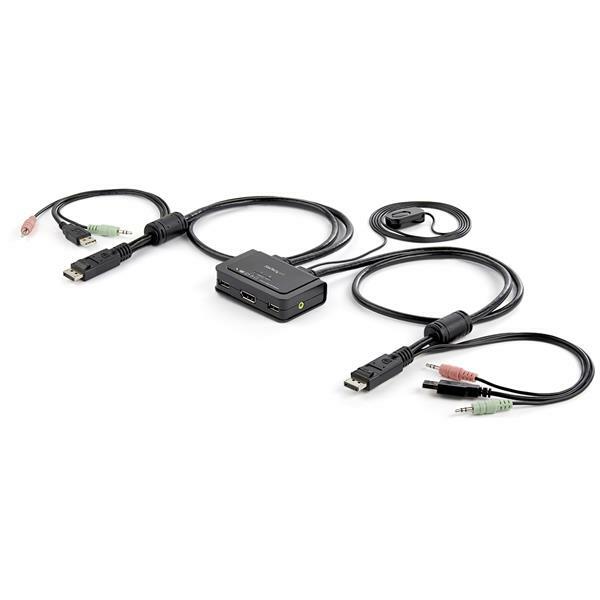 The SV211DPUA 2-Port DisplayPort® Cable KVM Switch with Audio and Remote Switching Control lets you control two DisplayPort, USB equipped PCs with a single monitor, keyboard, mouse and audio peripheral set. 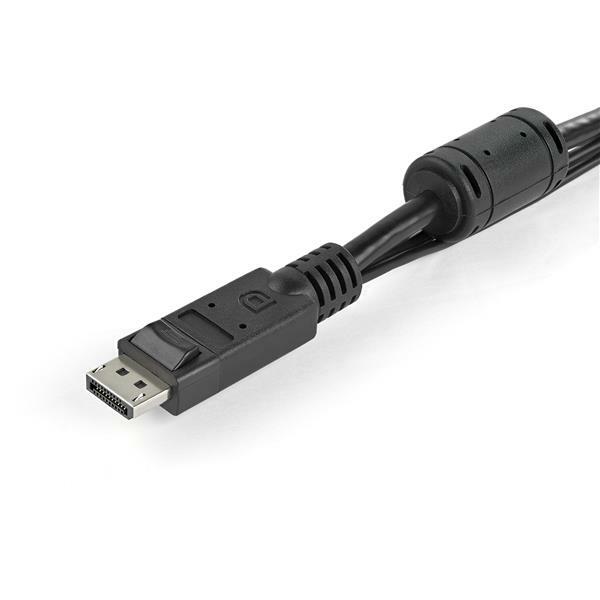 To help organize your desk without sacrificing work space, this compact DisplayPort USB KVM features integrated cables that can be connected directly to your system, while leaving a minimal footprint. 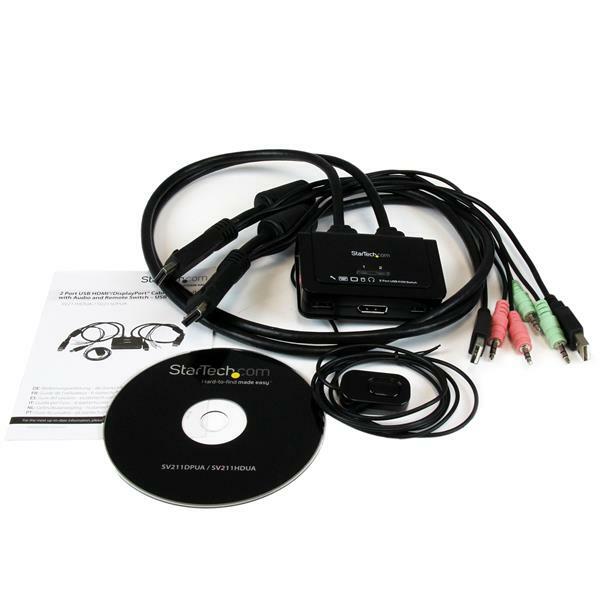 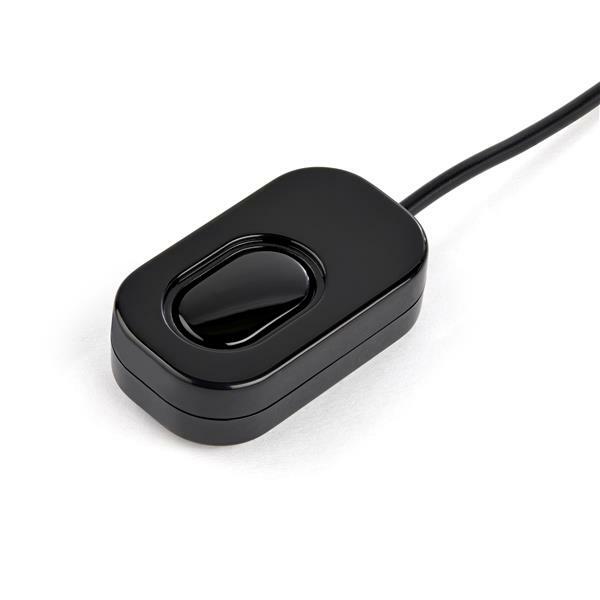 The switch features a remote push-button on a 1.5 meter (5ft) integrated cable that can be placed in an easily accessible location, as well as keyboard hot-keys, and PC or Mac® compatible software for switching between systems. 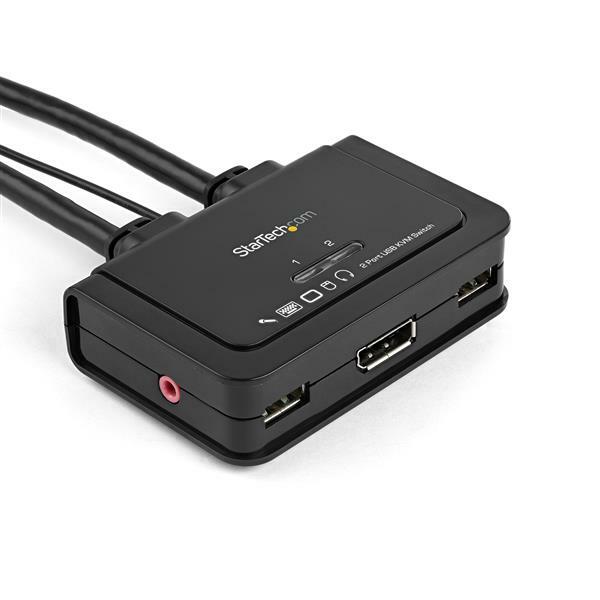 To eliminate the need for a bulky external power adapter and wall outlet, the DisplayPort KVM switch is USB-powered. 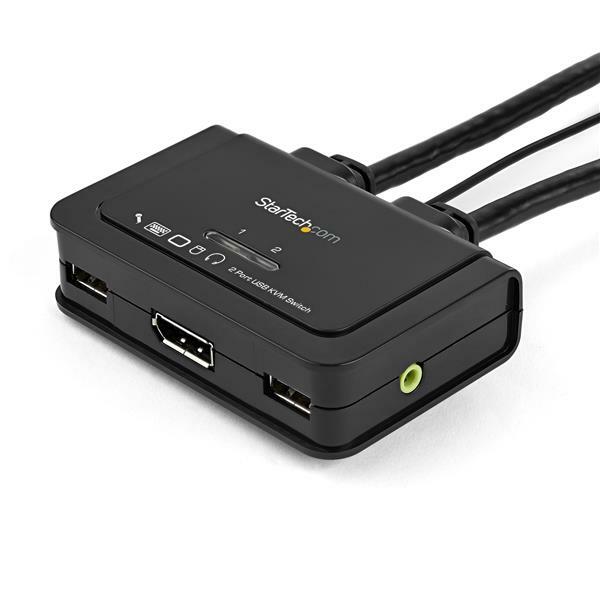 This KVM with DisplayPort video capability offers support for resolutions up to 2560x1600 for the ability to drive a large DisplayPort display for applications that require high graphical output.